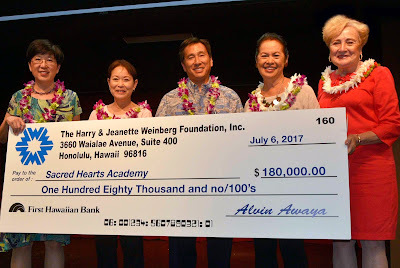 The Harry and Jeanette Weinberg Foundation has awarded Sacred Hearts Academy $180,000, over a six-year period, to support the Ka Lei ‘Ike (Embrace the Knowledge) Program. The Program’s goal is to provide Palolo Elementary and Jarrett Middle School girls an opportunity to gain academic knowledge, develop self-confidence and citizenship skills, and successfully transition to high school and beyond. The educational program for 40 students (grades 4-7) is in its fourth year this summer. Throughout the summer session, the girls are immersed in intensive reading, math, and leadership training. They take electives from a variety of offerings such as: Robotics, Coding, Minecraft, Playwriting, Clay Sculpting, and Sports. 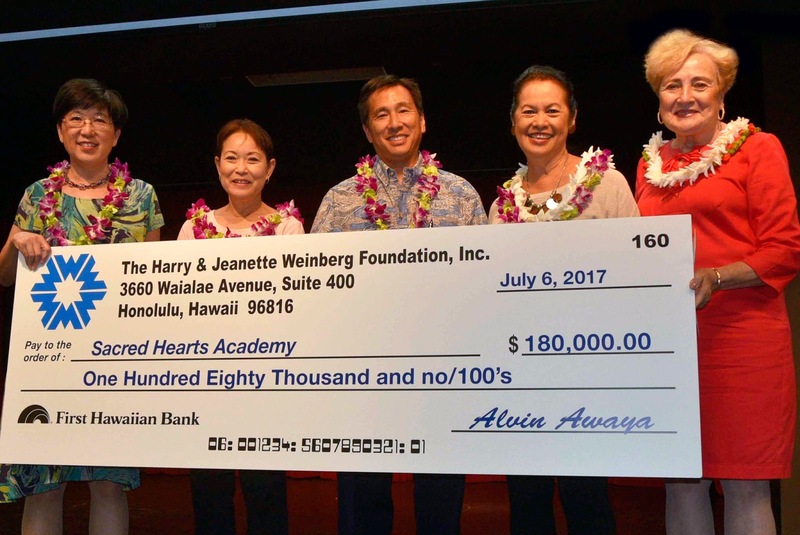 Although the participants only attend the Sacred Hearts Academy summer sessions, the girls' progress is closely monitored in their respective schools during the regular school year.